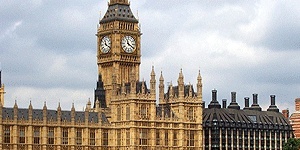 UK government officials have backed away from a controversial anti-piracy plan that would disconnect file sharers from the internet - or have they? When it came to light that a proposal in the UK's Digital Economy Bill would recommend disconnecting users who engaged in peer-to-peer file sharing from the internet, the internet responded as it is wont to do: with a petition. However, unlike most petitions, this one - asking Prime Minister Gordon Brown to abandon the proposal set fort by Lord Mandelson - actually had some official heft to it. More to the point, it appears to have been at least partially successful. According to the Guardian, the government has distanced itself from the plans amidst concerns that they could hurt its popularity with the UK public. "We will not terminate the accounts of infringers - it is very hard to see how this could be deemed proportionate except in the most extreme - and therefore probably criminal - cases," said the official response. "We added account suspension to the list of possible technical measures which might be considered if our measures to tackle unlawful file-sharing through notifications and legal action are not as successful as we hope. This is but one of a number of possible options on which we would seek advice from Ofcom - and others - if we decided to consider a third obligation on technical measures. However what is clear is that we would need a rapid and robust route of appeal available to all consumers if we decided technical measures were needed." The original petition pointed out that this plan to disconnect citizens from the internet was at direct odds with the government's stated goal of getting the entire populace online in order to reap the benefits of a broadband connection. "Please do not be confused by the government's semantics. BIS and DCMS decided in the summer that they would not refer to 'disconnecting' users, because that sounds harsh and over the top. 'Temporary account suspension' sounds much more reasonable." Obviously, we can hope that the UK government is seeing the light, but the cynic's view does suggest that this is nothing more than swapping one word for another.